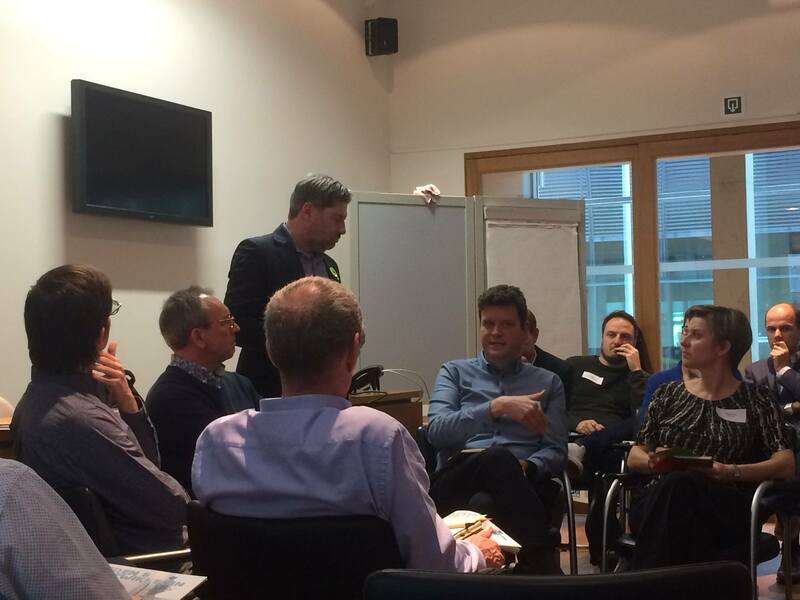 Learning & Development Trends - Voorbij de Hype? 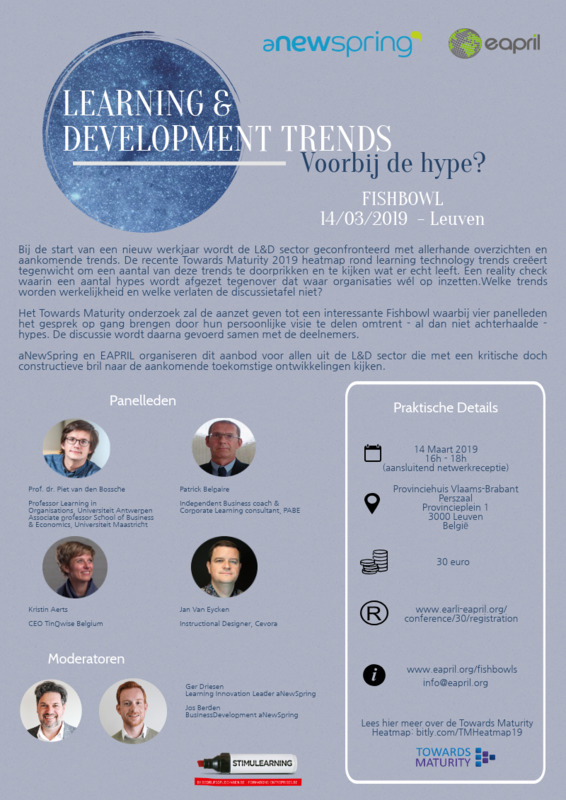 On March 14, 2019 we organised our first fishbowl event "Learning & Development Trends - Beyond the Hype? 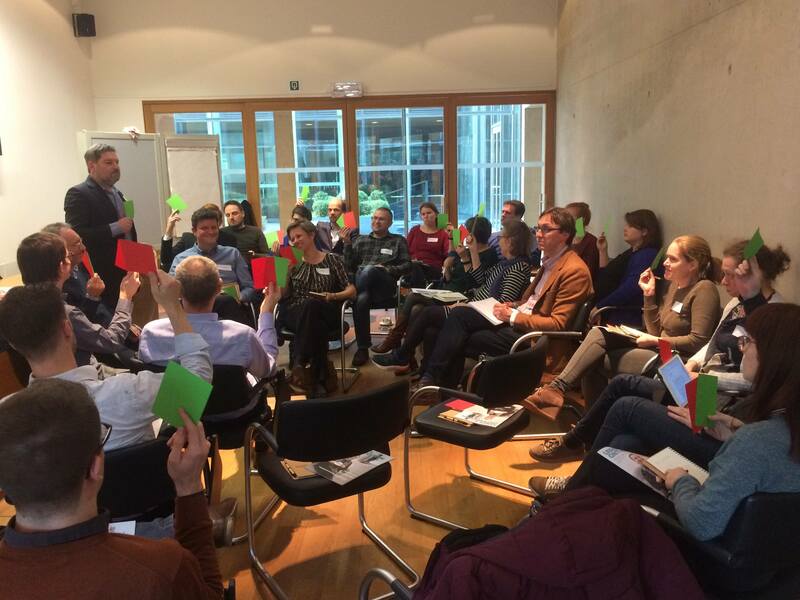 together with aNewSpring and with the support of Stimulearning in Leuven. Curious about what we discussed? Click here to read the interesting blog article. We would like to thank the fantastic panel: Piet Van den Bossche (University of Antwerp), Patrick Belpaire (PABE), Jan Van Eycken (Cevora) & Kristin Aerts (TinQwise)!